CELTIC FC Foundation will once again host its annual Badge Day bucket collection this Sunday, ahead of Celtic’s final home league match of the season, which will culminate with the official presentation of the SPFL trophy. A total of 120 volunteers will be situated around the ground before the 12.30pm kick off to sell the badges, on what promises to be a fantastic occasion, as the champions round off another wonderful league campaign. This year’s Badge Day has been organised in collaboration with our Supporters’ Committee, as well as the Tommy Burns Skin Cancer Trust and will honour one of the club’s most loved and cherished figures, Tommy Burns, while marking the 10th anniversary of his sad passing on May 15, 2008. 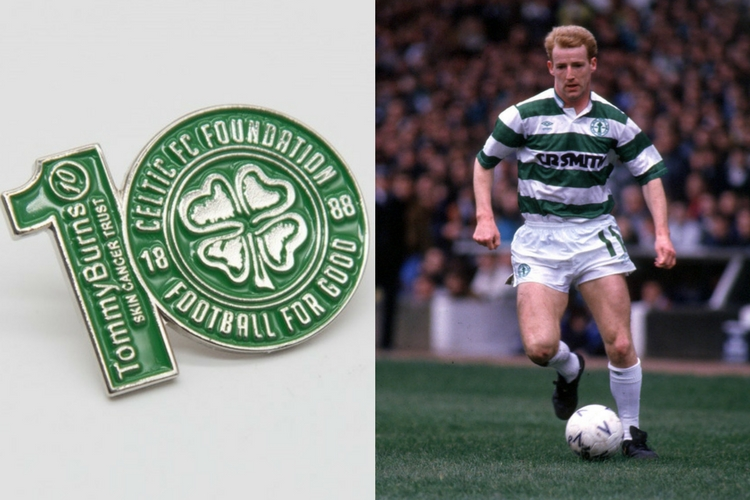 The badges, which will be sold for a minimum donation of £2 each, are shaped in the No.10, which was so famously worn by Tommy and will feature the logos of both Celtic FC Foundation and the Tommy Burns Skin Cancer Trust. Net proceeds from Badge Day 2018 will be shared equally between the two charities. For those fans who do not manage to get their hands on a badge before the match, they will be available post-match at the Celtic Superstore - by making a £2 donation in one of the Celtic FC Foundation boxes located at the tills - or online via Celtic FC Foundation’s eBay account. Celtic FC Foundation are dedicated to upholding and promoting the founding principles and heritage of our football club. The proceeds from Badge Day will help us continue to focus on our four priority areas; to improve Health, promote Equality, encourage Learning and tackle Poverty. Think HELP. Thank you in advance for your wonderful support.